Complete our adoption application with the name of the dog you are applying for. Have you previously submitted an application for a different dog? There’s no need to submit another one unless any of your other information has changed! Just send us an e-mail to let us know which dog you’re currently interested in. Applications are not considered in the order they are received; all applications will be considered in determining the best situation for each dog. 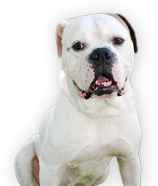 Completing an adoption application is not a guarantee that you will receive the dog you are applying for, and American Bulldog Rescue reserves the right to reject any application as we see fit. Our standard adoption donation is $400. If a dog has a different donation amount expected, it will be noted on their bio page. You will be provided all the medical records for the dog and mailed a copy of the complete adoption contract. Our dogs are placed into family situations only within the United States. We do not place dogs for the purpose of guarding or fighting or breeding. Must live within a reasonable travel distance to the foster family and be willing to travel to and from the foster home. 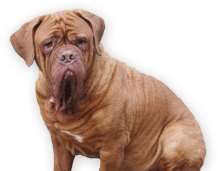 If you rent, we require a letter from your landlord giving you permission to keep this breed of dog on the premises and there are no insurance problems. If you do not meet these minimum requirements, please wait until your circumstances change before applying to adopt. NOTE: Some insurance companies may cancel your homeowner’s insurance if you own an American Bulldog, Pit bull, Rottweiler or Doberman. It is the responsibility of the adopter to check with their agent prior to adopting one of these breeds to make sure doing so will not adversely affect their policy. 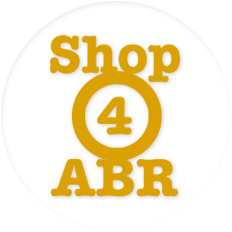 American Bulldog Rescue is under NO obligation to adopt an animal to any individual. Unless otherwise noted, an adoption donation of $400* is expected when you receive your dog. Upon adoption, copies of all available records will be provided to the family. All animals are spayed or neutered prior to placement, are current on vaccinations, de-wormed if appropriate, on heartworm preventative and flea and tick preventative. An adoption contract is required when the animal is placed. We cannot place dogs in homes with children under 10 unless that dog has lived with kids or is in a foster home with kids. We cannot place dogs in homes with cat unless that dog has lived with a cat or is in a foster home with a cat. We prefer that our dogs go to homes with securely fenced yards. If a home does not have a fenced area, the adopter must agree to keep the dog on a lead/leash at all times while outside. We do not place dogs in homes using e-fences. We do not place dogs in homes that use any form of tie outs. Puppies not yet housetrained will only be adopted to homes where they can be let out every two-three hours and have someone with them most of the time. Dogs are temperament tested by our volunteers/foster homes and their health and temperament monitored prior to placement but we can make no guarantees. Animals in foster care and adopted out by American Bulldog Rescue are not warrantied for health or behavior/temperament and not released until the dog’s health permits. This includes spay or neuter surgery. Dog licenses are the responsibility of the adopting family. We do not transport dogs to an adoptive family. The family must be willing to travel to the foster family’s home and travel with the dog back to their new home. In most cases, dogs from the south region are adopted only in that area and same with the north region.